If a child in your family suffered a catastrophic injury or wrongful death due to a medical professional’s negligent treatment or diagnosis, the advice of an experienced pediatric malpractice lawyer can help you understand your rights and options. 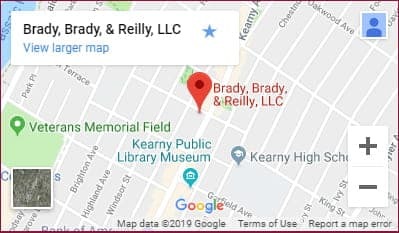 At Brady, Brady & Reilly, LLC, our attorneys bring nearly 50 years of experience to the table when fighting for parents and children involved in pediatric malpractice cases. We recognize that medical malpractice claims are emotionally charged, especially when the victims are children. Our lawyers are dedicated to making a meaningful difference in the lives of our clients. When you seek our help, we will pursue all legal measures to obtain justice and full financial compensation for your child’s losses. To learn more about getting justice for your child following pediatric malpractice, contact us for a free consultation. We can be reached at (201) 997-0030 or you can contact us via email. We serve clients in Newark, Jersey City, Essex County, Hudson County and throughout North Jersey.